I have always loved the cuisine in Tampa, whether it’s Italian, seafood, or pretty much anything else. A few of my friends visited me last week, and they had never been to Tampa. As I showed them around and we tried each restaurant, it dawned upon me. I should make reviews to help other people in Tampa find restaurants they might like, since I love the food so much! And now here we are. First, I have to mention Osteria Natalina. 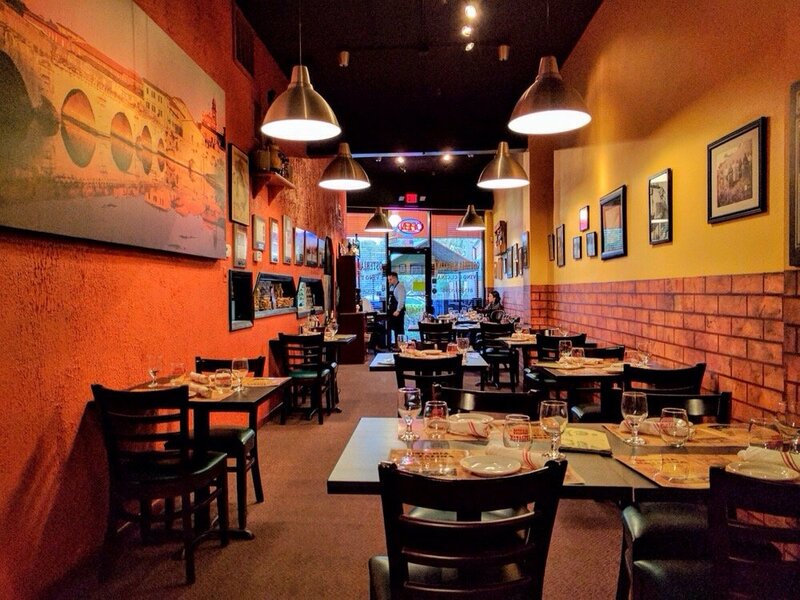 Authentic Italian turns a lot of people away, but I would really encourage you to try this Tampa restaurant out. There’s three things that I really love about Osteria Natalina, and I’ll get into them in a bit. Before that, make sure you are in or somewhere near Palma Ceia in Tampa. This restaurant can get really packed, which only shows you how good the food is. Or maybe they like the service and decor just as much as me. I’ll get into that stuff at the end of the review. First of all, there’s the food. I always love some good Italian food, but there is something about the way that Osteria Natalina’s chefs prepare it. 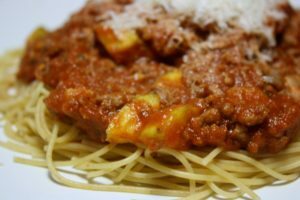 Authentic Italian food has lots of spices in it, and there a few copycat restaurants in Florida that try to be “authentic” but use way too much spice. Keep in mind that this isn’t heat “spice”, like you something you would find in a Latin dish. My favorite dish to order at Osteria Natalina is the lobster ravioli in pink sauce. The only thing better than the lobster here is eating it in a ravioli, with some amazing sauce. I always feel as if the chefs really care about the food that they prepare, and they take it upon themselves to make sure your meal is up to par. In addition to this, you can really taste how fresh the ingredients are. It’s not just simply serving food that doesn’t come out of a can. Any restaurant can do this, although I wish more did. It takes real effort from the chefs to go out and buy their own fresh spices. Or maybe there’s just a tiny garden located in the kitchen, and they hired someone to maintain it. Osteria Natalina also has some of the best decor I have seen in any Tampa restaurant. Lots of restaurant just have white walls with no paintings or anything, and that’s too plain and boring. I love when restaurants put up tasteful art that isn’t too distracting. While I’m talking about the ambience, the music is also very nice. There has been more than one occasion where a restaurant blared music so loudly that I couldn’t carry a conversation, and the waiter couldn’t even take my order. This Tampa restaurant has no trouble in this area, and it is much appreciated. One thing that I would like to note is that I don’t really have very many negative thoughts about these restaurants. They are all good in their own ways, and nobody wants to hear all the bad and gross stuff that happened at a bad restaurant. That just ruins the experience as a whole. I have never had bad service or a bad meal at Osteria Natalina, and I look forward to my next visit. I’m sure my friends do too, and now they have one more reason to come back and visit me. Each one of them wrote positive online reviews afterwards. I’m not joking. Next up, if you’re into Italian but pizza is more of your thing then definitely check out Eddie & Sam’s NY Pizza. I’m not sure if they import the pizzas themselves from New York or what, but I do know that they are amazing. My brother and I actually went on vacation to New York last year, so the taste of the food is still fresh in our minds. This time around, you will be eating in downtown Tampa. 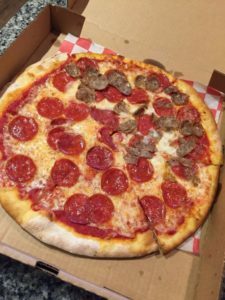 Eddie & Sam’s NY Pizza is only a few blocks away from the Curtis Hixon Waterfront Park in Tampa, so you could take a slice to go and eat in the park if you want. One specific thing that I have recently started to notice about Eddie & Sam’s NY Pizza is how clean the interior is. Not just the tables, which is to be expected, but the floors and bathrooms as well. Cleaning your kitchen is also super important, and after talking with a bunch of restaurant owners I know the restaurant hood cleaners that a lot of Tampa restaurants work with. They offer a lot of services, like restaurant cleaning services. I don’t know a ton about hood cleaning, but I’m sure I could learn more if I read their about page. Again, you will find plenty of great online reviews for this Tampa restaurant if you look. Good job, Eddie & Sam’s NY Pizza! Last but not least, I couldn’t finish this review without mentioning another Tampa beachfront restaurant. 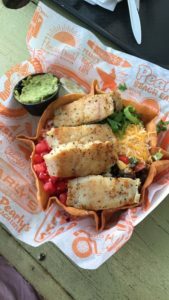 Pearly’s Beach Eats serves Mexican food like tacos and similar stuff, but you can also order sandwiches. You’ll find this restaurant just west of the Tampa International Airport, so it’s a great place to eat right after you fly in. That’s what my friends and I did, at least. Personally, I think that the tacos are just as good as the burgers. It’s tough for me to decide what to order each time, but in a good way. I usually just have to ask one of the very helpful servers what they prefer, and then I cave and get what they suggest. If anyone knows the restaurant’s food best, it’s them. After all, they’re around the food all day long. If you had to tell someone what the best aspect of Pearly’s Beach Eats is, I would say for certain that it is the service. The wait staff isn’t just attentive, but they’re all very kind to people who are unfamiliar with the menu. Every little but adds up in the end. My friends and I all left amazing reviews online for this Tampa restaurant as well. I knew they would love it, and I was not wrong.